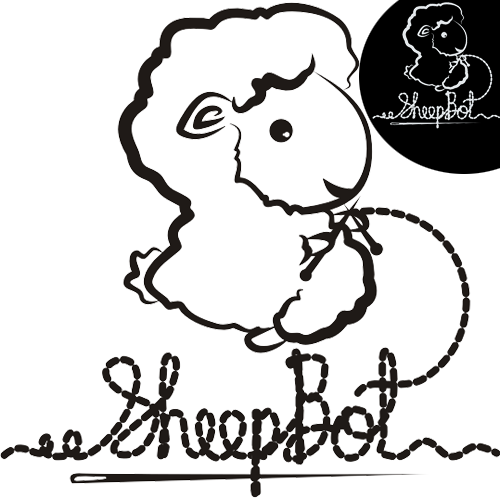 Another SheepBot mascot. You can see the 'S' shape sheep which is represent Sheepstop. Sheep is weaving SheepBot word.